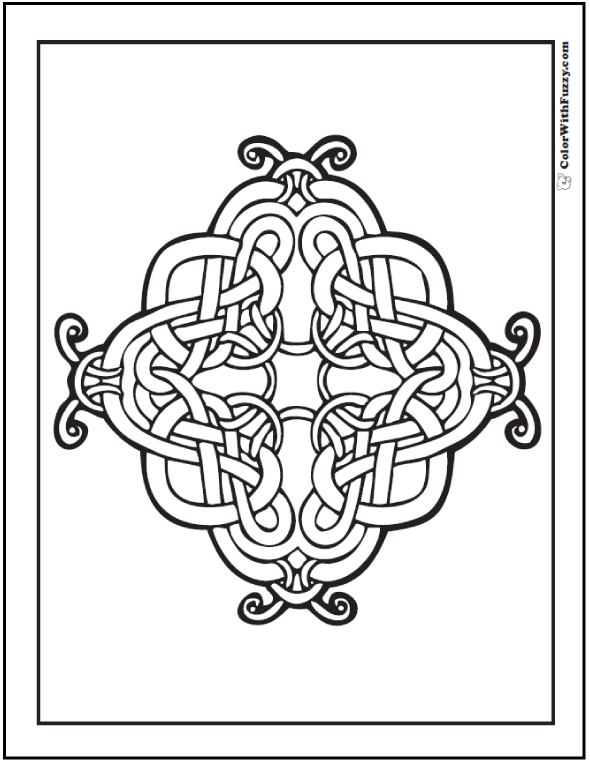 I love Celtic Cross coloring pages! This one has an intricate design where the Cross is actually the negative space in the center of the design. This PDF prints to 8.5x11 inch paper. Follow the lines with this intricate Celtic Cross coloring page. The Cross is actually the negative space between the vines in the center, so color it last.